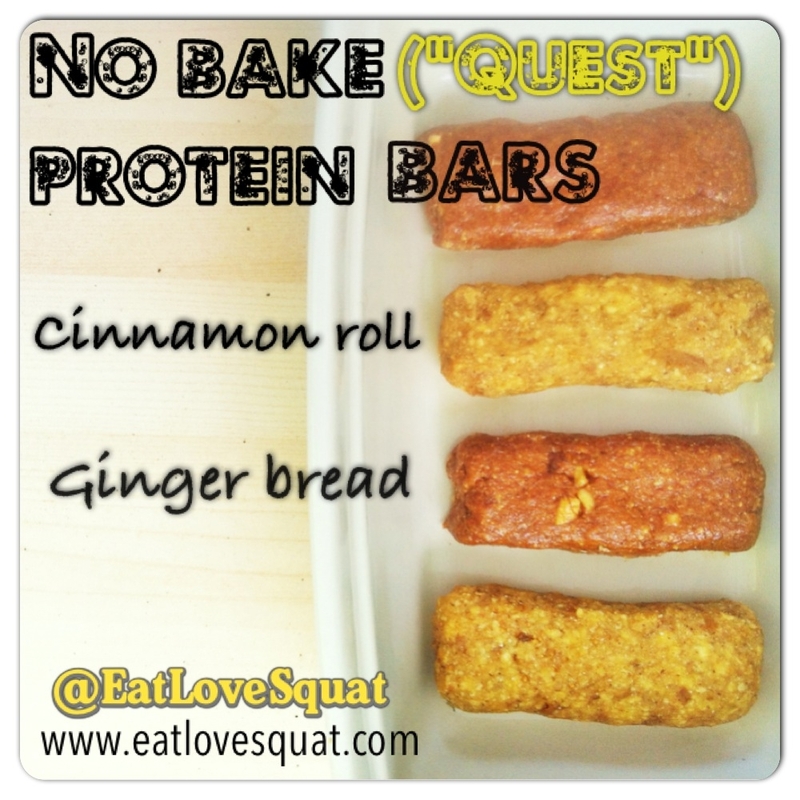 This is a no bake high protein bar inspired by the cinnamon roll quest bar! Mix all of the ingredients, except the almonds, in a food processor or in a small bowl with an immersion blender. You will have to stop and stir around with a spoon several times because it gets very sticky. Be patient and wait until the batter gets smooth before you decide to add more water. When the ingredients are well blended you can add the nuts and work the batter using your hands. 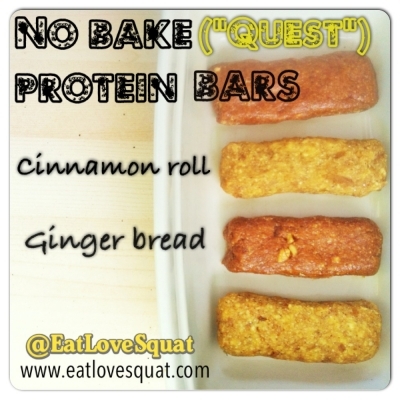 With wet hands, shape your bars. Store them in the fridge in a sealed food container. Note: I used 5 almonds for the cinnamon roll (shown in this recipe) and 3 walnuts for the ginger bread. Put any nuts you like!